When graduates of West Point’s Class of 2016 go into their years of service as officers of the Army, they will be wearing something no other cadets have worn before — class rings that include steel from the World Trade Center. It hasn’t received mention in the press. But it was movingly noted Friday in the introduction of the commandant of cadets, Brig. Gen. John Thomson III, at the military academy’s annual ring memorial ceremony. What a cure for the cynicism of a cynical age. 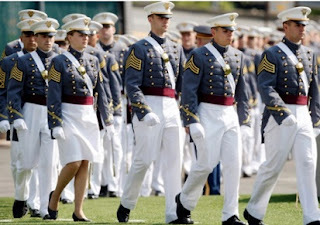 It’s at the ring ceremony that seniors — known as “firsties” — get their rings, which become a physical link between future officers and the West Point graduates who went before.